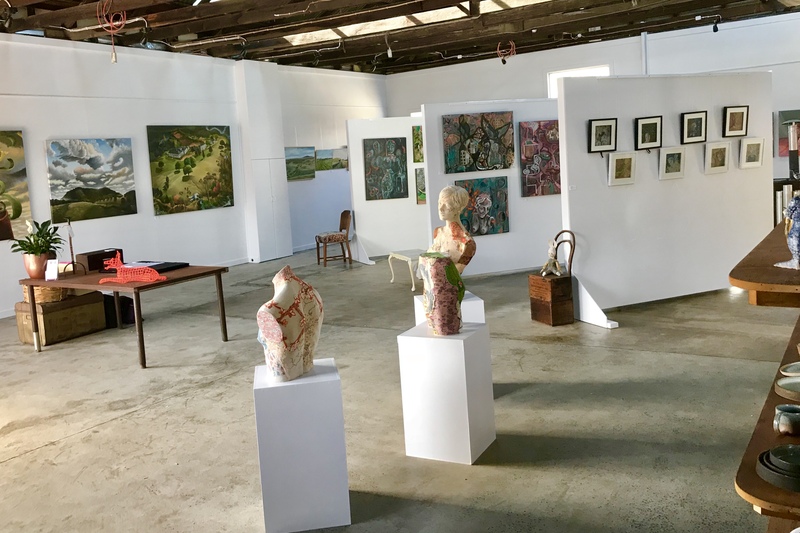 This collaborative exhibition by Claire Wilson and Samantha Grills came highly recommended by regional art teacher and mentor Robyn Barnett. How correct she was in her appraisal of Sam and Claire’s work. Both women demonstrate exceptional talent and promise as future artists in their own right and this exhibition from January 28th to 11th February is a ‘must see’. 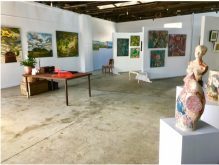 Distinctly disparate techniques and use of colour identify each of these artists separately however their shared subject of the local landscape, the volcanic plains grasslands makes this exhibition one of regional interest. Claire’s use of a muted colour palette brings a natural mood to her work and her figurative depiction of the local hills and skylines places the viewer as if standing on site looking at the vista. In addition Claire captures local recognised heritage buildings in her work and has drawn interest to the exhibition as a result. Samantha Grills is passionate about colour and her work is vibrant and eye catching. She presents several pieces of work with diverse themes into this exhibition. Her style is naive however her composition is strong and detailed, and some of her work is abstract.